This dispatch was written by Chris Dickey, the FACES 2014 Goodwill Ambassador. Chris, who was also the 2013 Goodwill Ambassador, has been helping with all aspects of the surgical trip planning and execution. We had two heart-warming reunions today with families from last year. Little Dryon had his lip repaired by FACES a year ago and was due to have his palate repaired this year. His family could not attend the screening clinic in December, but they were at the hospital bright and early waiting for us on Sunday. Luckily, Dryon was a perfect candidate in good health with an uncomplicated repair, in addition to being an adorable 16-month-old toddler. He was told to come again today and to be ready for surgery just in case. A cancellation occurred and he was able to have his repair. It is hard to describe the feelings of his mom, but the picture is eloquent. The second returning patient today was Jasmin, another beautiful toddler. Like Dryon, she had a lip repair last year and was returning for her palate repair this year. Last year we were deeply moved by her mother as she held Jasmin after surgery and sang her a beautiful song with tears in her eyes. Today we learned more about that song. 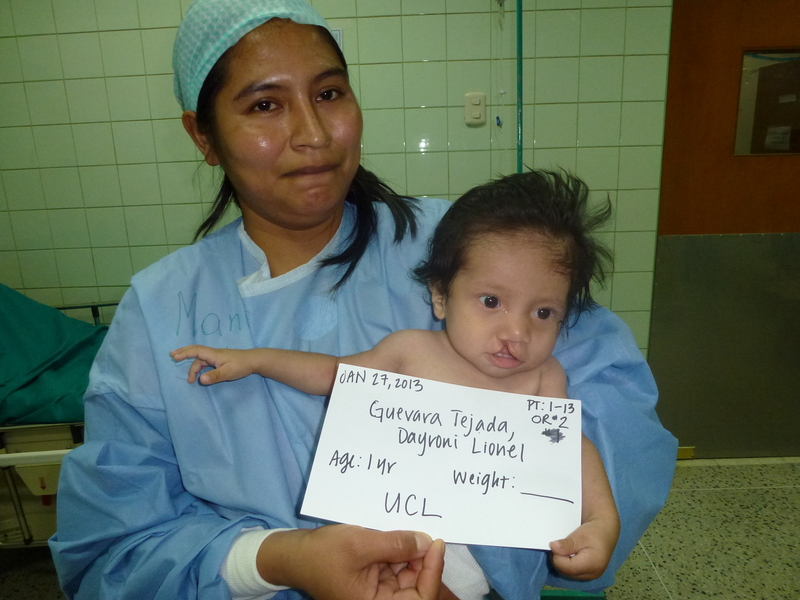 Her mom had an ultrasound at five months into the pregnancy and was told her daughter would be born with a cleft. Armed with this knowledge, she searched for a special song for her special daughter. Jasmin’s aunt found one with just the right theme – “I will fight for your happiness.” There wasn’t a dry eye in the room. 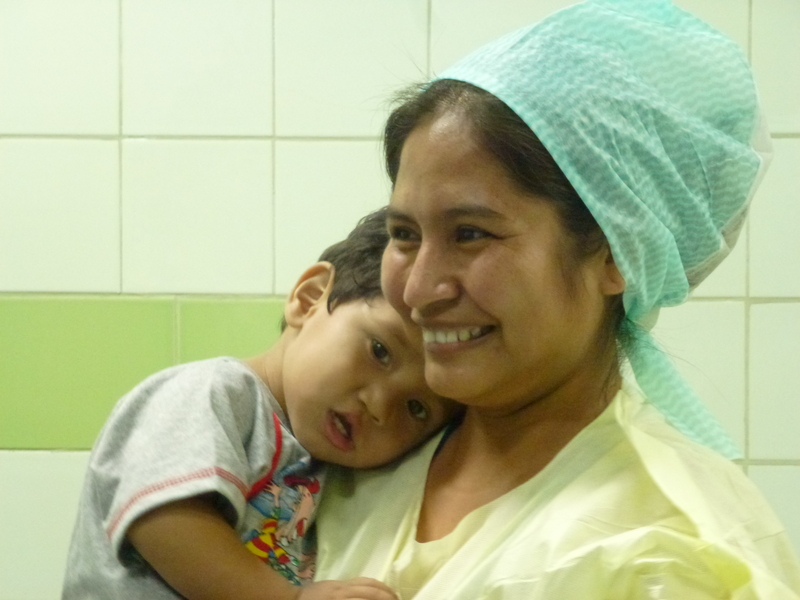 A photo of Dayron from the 2013 Surgical Trip. Dayron and his mother this week! He looks fantastic! Kids waiting for their surgeries outside the operating rooms.